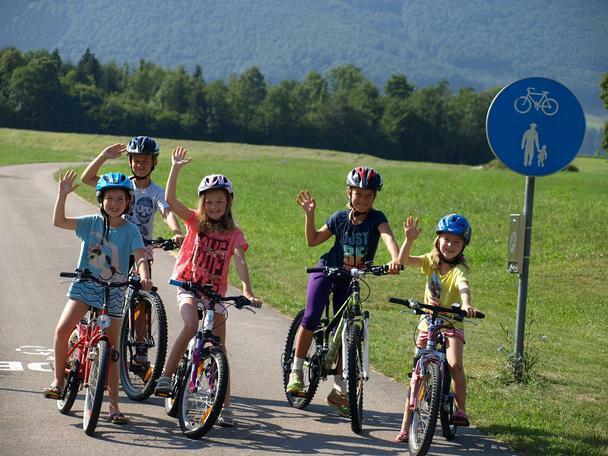 Impressive, family-friendly bike ride along the route of the former Steyr Valley Railway! 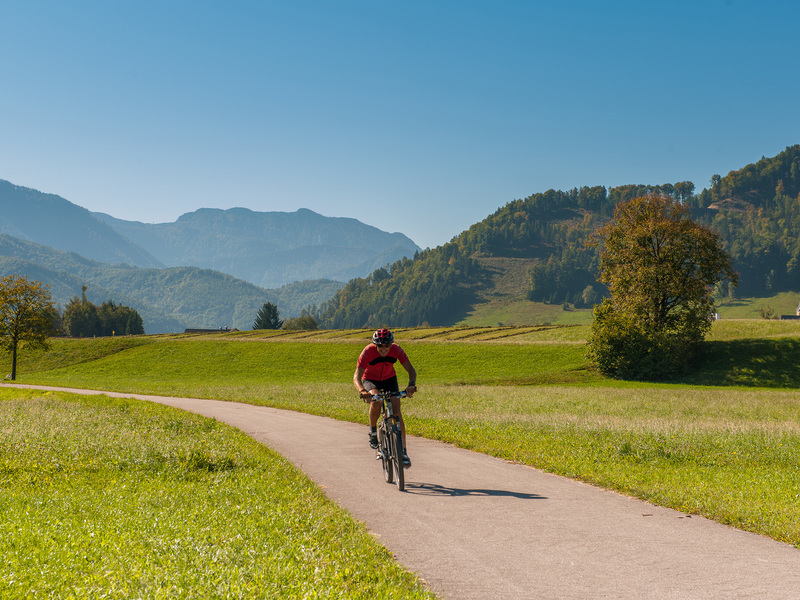 Insider tip: The ideal start to a cycle tour in the Steyr Valley to take the Steyr Valley Heritage Railway from Steyr to Grünburg at the weekend from June to October. It’s free to transport your bicycle! 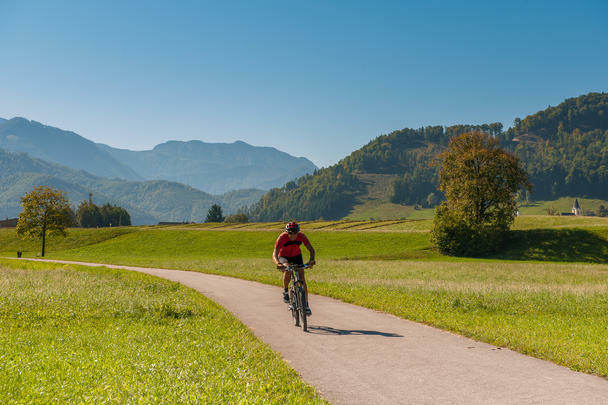 The R 8 Family Cycle Route is nestled close by the River Steyr, with its swimming areas, rest areas, interactive stops, viewpoints and canyons – from Steyr in the North to St. Pankraz in the South (Klaus to St. Pankraz stage starting in spring 2019!). 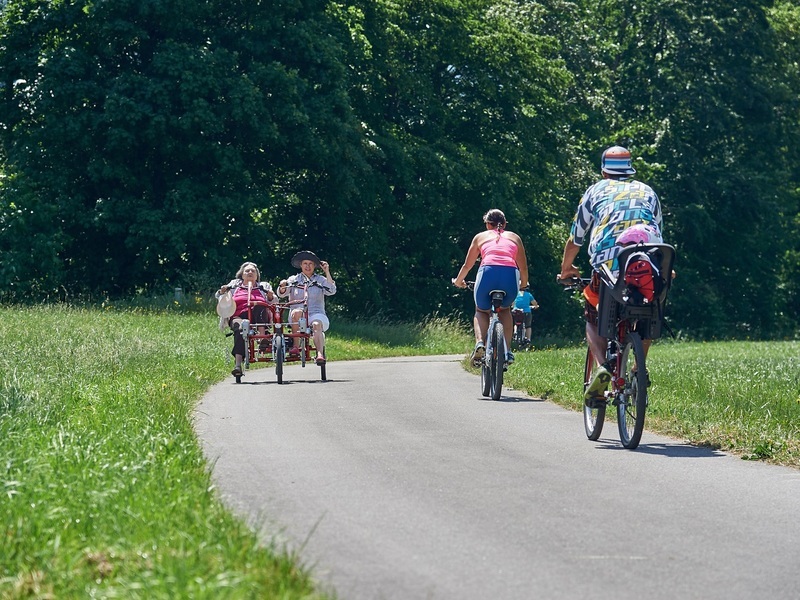 The largely flat route makes the Steyrtal Cycle Path great for families as well. The Untergrünburg to Klaus section of the path follows the route of the Steyr Valley Railway almost exactly. Today, this is operated as a heritage railway between Steyr and Grünburg. To the North, the path can be extended to reach the city of Steyr. 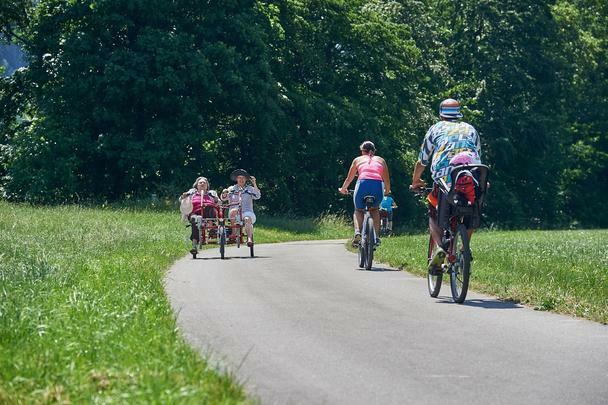 To the South, you can continue your journey from St. Pankraz along the R 31 National Park Cycle Path to Windischgarsten or along the R 9 Hintergebirgsradweg to connect to the R 7 Enns Cycle Path. The route then ends again in Steyr. To the North of Klaus, the Steyrtal Cycle Path meets the R 10 Kremstal Cycle Path. 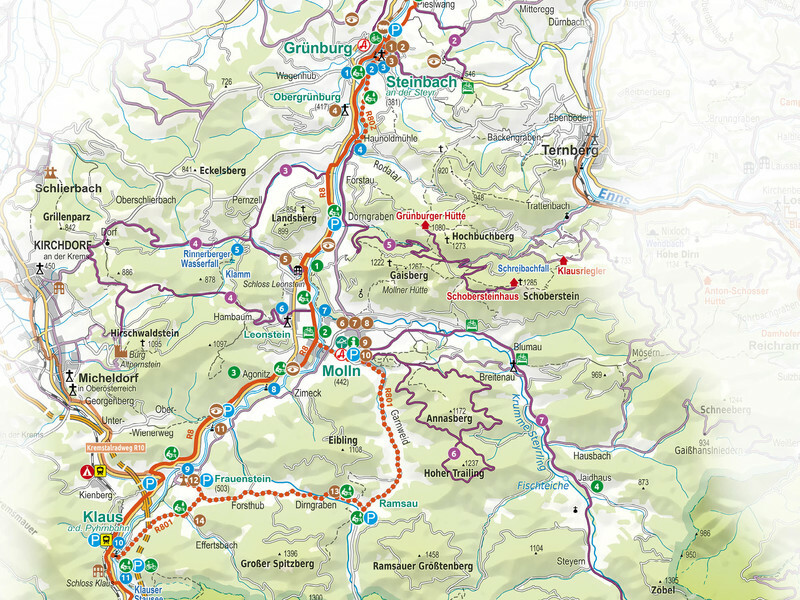 The R 801 Molln Circuit, with access points at Gasthaus Leonsteinerhof, the junction at Frauenstein and the Klauser Lake Leisure Centre, leads through the natural landscape of Ramsau, past the Frauenstein pilgrimage church and Effertsbach, where the writer Marlen Haushofer grew up. This cycle path is suitable for athletic cycles or e-bikers. The R 802 Steinbach Circuit, with access points at Museumssteg Steinbach and Haunoldmühle in Obergrünburg, leads through the picturesque village of Steinbach/Steyr. 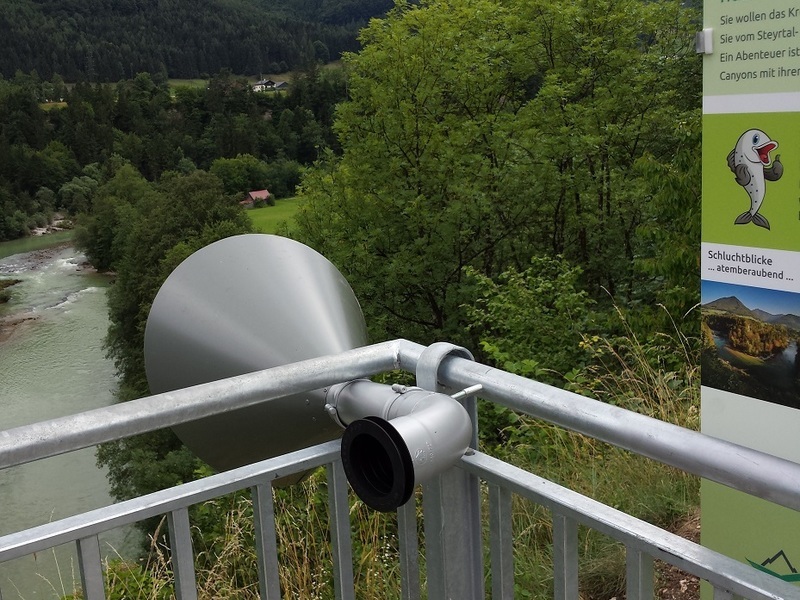 It is worthwhile taking a detour to the interactive Energie-Erlebnisweg trail, with its many viewpoints and power stations. A little tip!! If you cycle the path “downstream” from South to North (from St. Pankraz to Steyr), you’ll benefit from the natural gradient. 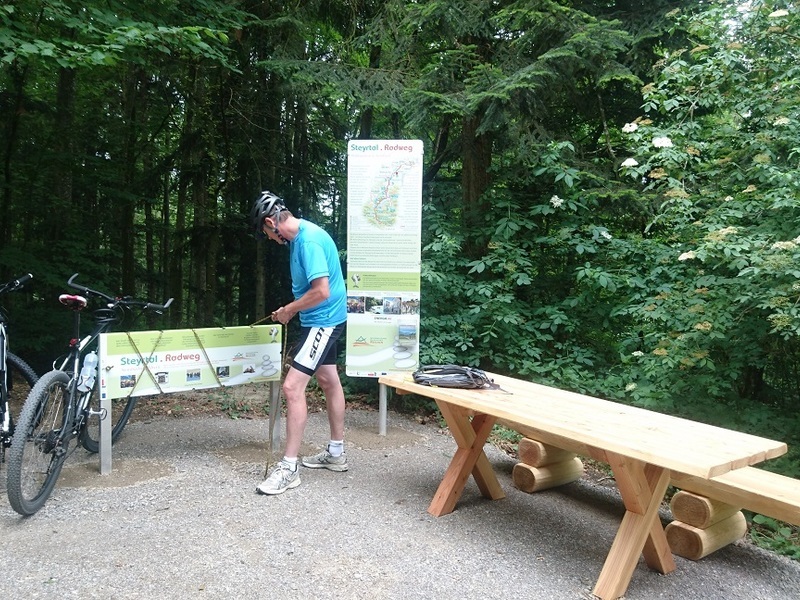 Steyrtal Cycle Path – Revived! 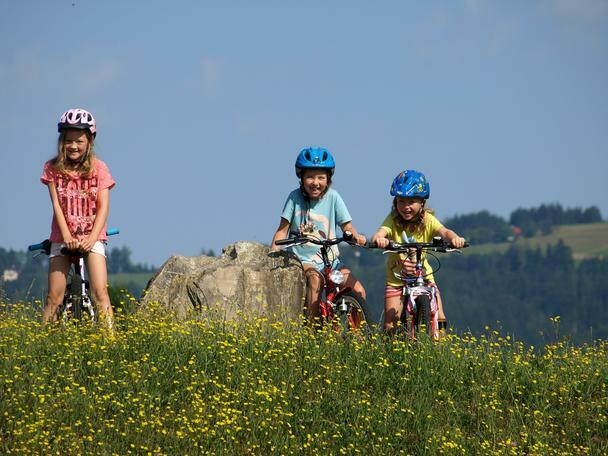 Get ready for a surprise and let yourself unwind at the new rest areas, viewpoints, interactive spots and natural swimming areas along the section of the Steyrtal Cycle Path between Grünburg and Klaus. This cycle path revival truly brings the Steyr Valley to life! Breathtaking views of the gorge invite you to take in a unique river landscape. 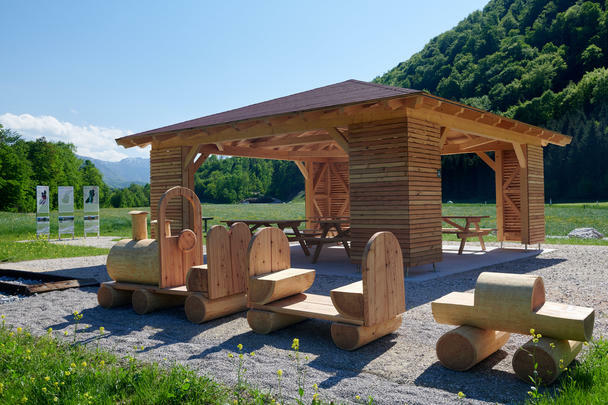 One of the most beautiful rest areas along the cycle path in Leonstein near the Fürnkranz car park is the wooden pavilion, which was built by Kalkalpen National Park. 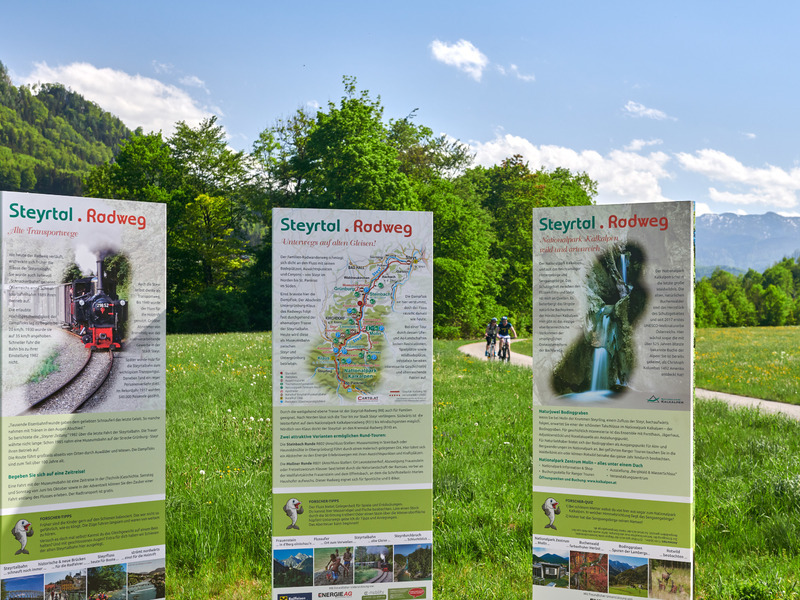 One of the entrances to the cycle path is located here, providing information not only about Kalkalpen National Park, but also about the Steyr Valley Heritage Railway. 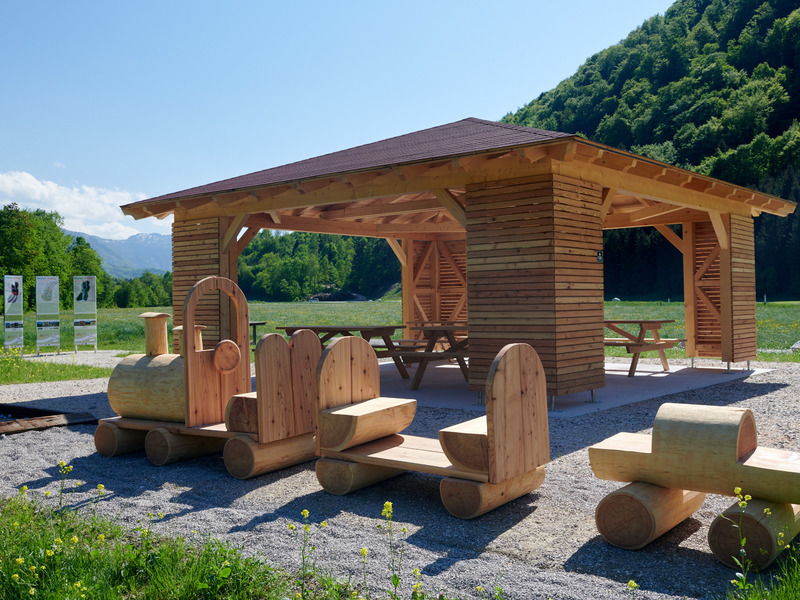 The tracks laid there are perfect for both the young and young at heart to practice balancing, and the wooden train is perfect for youngsters looking for a play. The newly designed car park is spacious and there are toilets available there for your convenience. A breathtaking view of the gorge can be found on the upper edge of the Steyr gorge in Leonstein shortly before/after crossing the Bundesstraße. 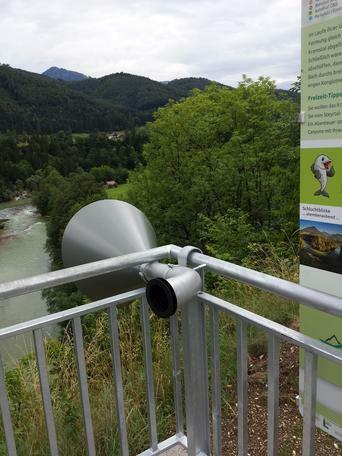 Secured by a viewing platform, you can enjoy the view down into Steyr’s canyon. 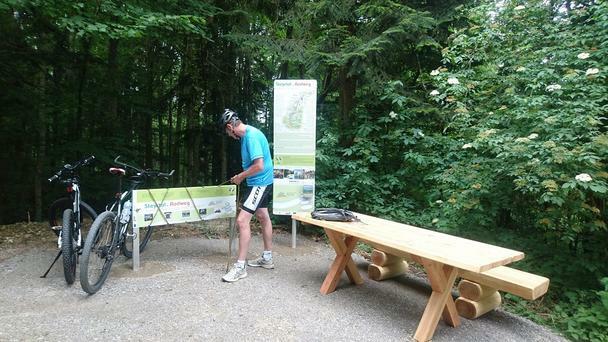 To make sure young riders maintain their interest along the cycle path, small interactive stops have been placed along the path to provide opportunities for playing and having a go at some puzzles. For example, tricky questions posed using an oversized bandolo game in Steinbach/Steyr in the Pieslwang district leave young minds full of wonder. But no worries if you’re left guessing about the right answer – the ropes will soon let you know whether it’s right or wrong. Students at the Neue Mittelschule in Grünburg built “Stoa Mandl” sculptures with stones from the River Steyr as part of a school project. These sculptures are now dotted along the cycle path to mark different rest areas and interactive stops. Part of reviving the cycle path has included creating a map of the Steyrtal Cycle Path. 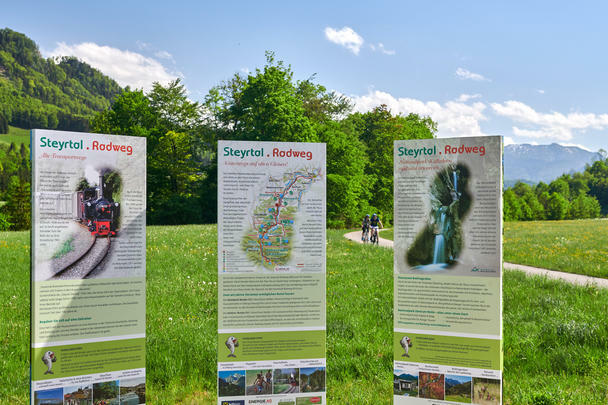 In addition to detailed route guidance from Steyr to St. Pankraz, including the two new R 801 and R 802 variants, the map contains lots of useful information for going cycling on the Steyrtal Cycle Path. 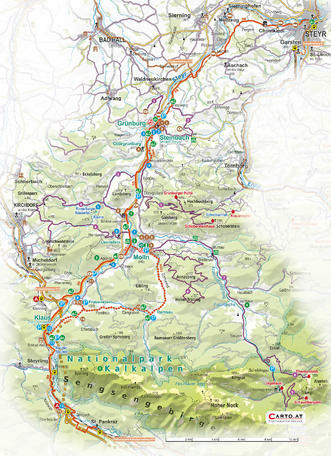 The map is available for free from the Tourismusverband Steyrtal tourism office, at bicycle rental stations and at the Molln national park centre. Want an e-bike? No problem! 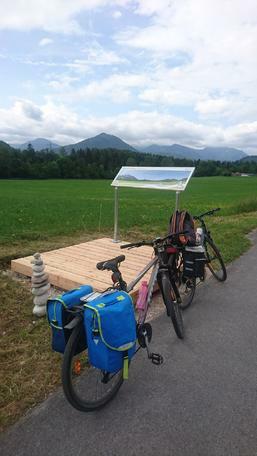 Rent one from E-mobility along the Steyrtal Cycle Path and enjoy your journey with some gentle e-support. 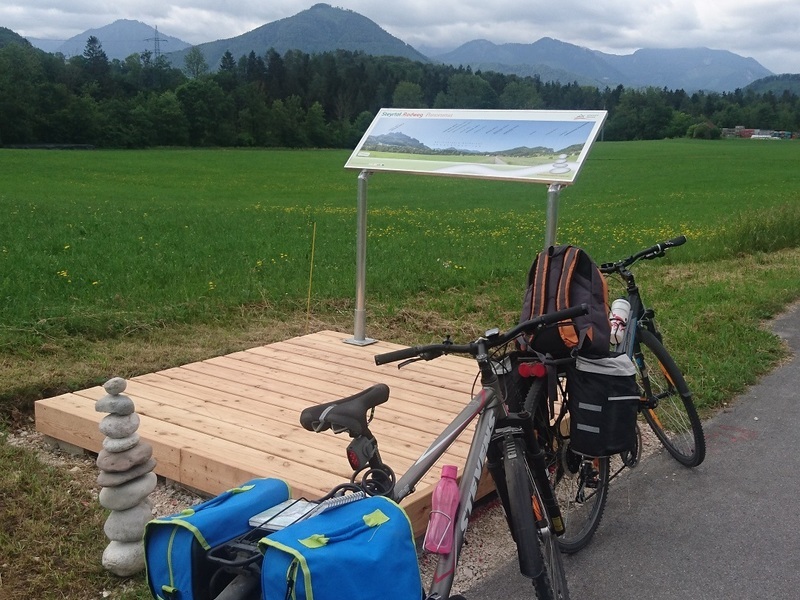 In spring of 2019, the long-awaited Lückenschluss Klaus – St. Pankraz cycle path will be opened, providing a complete, leisurely, multi-day cycle tour along the rural cycle paths around Kalkalpen National Park. If you start in Steyr, you can follow the path through the Steyr Valley and the Pyhrn Priel region to the Enns Valley and back to Steyr.